Omnicom Media Group’s Sam Phillips triumphed at this month’s World Women Leadership Awards in Mumbai. M&M Global went to discover the reasons behind her passion for diversity. Earlier this month, Phillips flew out to Mumbai in India to be honoured as part of the second annual World Women Leadership Awards. A conference on the subject of women and leadership was attended by 1,200 people from 76 countries, with Phillips joining a panel including the speaker of the Bangladeshi parliament and one of only two women in C-suite roles in Saudi Arabia. Illustrious company, for sure, but the more one gets to know Phillips – speaking at this year’s Festival of Media Global – the more fitting it seems. As well as building up an impressive career in the media industry, via roles at JWT, TBWA and Time Inc, she has faced – and continues to face – far more than her fair share of personal adversity. And, in combatting this adversity, she has formed a philosophy which is making waves within OMG UK. Eleven years ago, Phillips experienced a “life-changing moment” when her eldest son was stillborn, revived against all odds by medical staff, and subsequently diagnosed with Down’s syndrome. Today, Max is an “astonishing” child, and his development has informed her appreciation of those with disabilities of all kinds (“It’s not worse, it’s different”). Remaining true to a pledge she made as a teenager, Phillips also adopted a young Russian girl, following an agonising four-and-a-half-year wait. She found the whole process so loathsome it motivated her to become a trustee of charitable group Adopt a Better Way, which lobbies the UK government to simplify adoption rules. And two years ago, Phillips’ husband was diagnosed with terminal cancer. He was given six months to live by doctors, but has defied this prediction thanks to the help of trial drugs and continues to fight the illness. Nevertheless, her home life has changed “radically” and she has needed to embrace new responsibilities in an already packed schedule. Phillips recalls the reaction to discovering her husband’s illness, and the widely held assumption that she would leave her job – conversations which crystallised her view that men and women are treated difficultly in the professional world. She speaks with animation about the misrepresentation of women in advertising, and the lack of representation of women in senior creative roles in the industry. That OMG has managed to increase the female proportion of its senior management team to 44% is “really, really strong” but too rarely repeated at other agencies, she argues. Yet, despite her commitment to promoting gender equality in the industry, Phillips believes agencies should take a much wider view of the diversity issue: “The industry conversation is still about women. Yes, it is women, but it’s also about ethnicity, it’s also disability, it’s also regionality, sexual preference, and age,” she says. Fuelled by her experiences bringing up a child with Down’s syndrome, Phillips believes the industry must “open its eyes” to the idea of people with disabilities in the workplace. She praises the Down’s Syndrome Association’s ‘job carving’ scheme, taking the “bottom bit” of a highly-skilled person’s job and giving it to someone with a learning disability. “People are so extraordinarily scared of disability, particularly adults, whereas children are far more understanding and descriptive of the person behind the disability. Learning disability is the last bastion – it’s too hard, too scary, no one ever goes there,” says Phillips (below, left), who will be chairing a panel on diversity at the Festival of Media Global 2015 in Rome. Rather than just campaigning for greater industry diversity, Phillips has acted, too. In 2009, she conceived and launched OMG Ethnic, an agency dedicated to better understanding the media habits of the UK’s Black Minority Ethnic (BME) community. 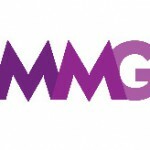 The agency now has over 20 clients, and the OMG Ethnic concept recently rolled out in Australia. Citing the wide spread of Indian and Chinese diaspora across the globe, and the move towards one-to-one marketing, Phillips claims brands must be aware of the influence of ethnic minorities: “The average white British person knows five people abroad; for non-whites, the figure is 40, as they are going to have a much bigger outreach. And that influence flows in our digital society. “Are you understanding your audience, and the nuances between cultures? As a UK broadcaster, you’re not just broadcasting to people who live in the UK. If you can show that you’re actually talking to people, and recognising them, then they are going to be more predisposed to your brand. “It’s not just about getting it right from an HR perspective, but also as a business and from a commercial perspective. It is changing the way you try to reflect society, because we all know that businesses that reflect society do better. Is diversity even the right word? It’s more inclusivity, holding up the mirror to society in your organisation,” she adds. These are difficult topics for many businesses to address and, as Phillips observes, many are too concerned with ticking boxes and “not getting it wrong”. She believes, passionately, that a more diverse workforce and a more multi-cultural brand viewpoint will contribute to the bottom line. And if she succeeds in spreading this viewpoint, more awards will surely follow.